We Take the Job from a Design to a Work of Art. 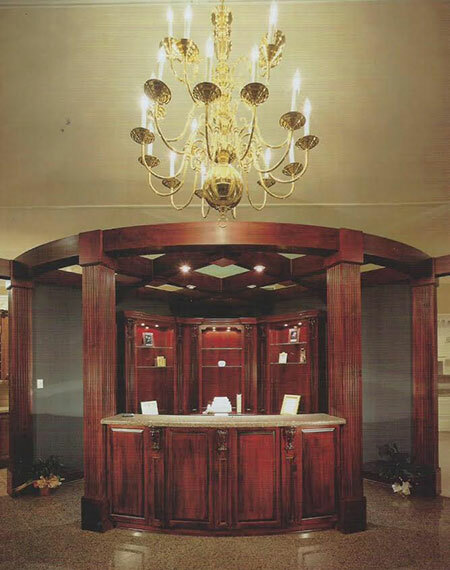 Belle Chasse Cabinet Works, Inc.
Belle Chasse Cabinet Works, Inc. has been a family-owned business since 1960, priding itself on the creation of truly custom hand-crafted cabinetry, counter tops and back-splashes. We use all available varieties of hardwoods and offer hundreds of styles and moldings to achieve the absolute, most ideal creations for our customers. There’s no more focal way to add personality, sophistication and elegance to your home than through custom cabinets in Plaquemines Parish, LA. Cabinets are a dramatic presence wherever they’re installed—whether in kitchens, bathrooms or another area of your home—and offer you the opportunity to personalize that space through an infinite number of design elements. At Belle Chasse Cabinet Works, Inc., we take pride in helping you dictate the look and feel of your space through custom cabinet creations. Working with your vision in mind, we’ll craft hardwood cabinetry that’s breathtaking in its design and superior in its functionality. We’ve been family-owned and –operated since 1960! Our cabinets are fairly priced to ensure maximum value for our customers. We can build just about any style of cabinetry or furniture you could want. We proudly work with both residential and commercial customers. If you’re looking for custom cabinetry that’s ideal for your home or business, get in touch with us today for a free quote. We’re happy to design and build within your specifications! "Aubrey's commitment to the client and his after sale service is beyond reproach. His dedication to resolving issues as well as making sure t..."
"Based on my 25+ years of experience with Belle Chasse Cabinet Works, I highly recommend this company. Excellent quality, service and reasona..."
"I had a great experience with Belle Chasse Cabinet Works! They have a wide selection and a great range of pricing options. My new kitchen lo..."
"The building owner hired Belle Chasse Cabinet Works, Inc. for their new office which our firm designed. Although this was a commercial build..."